The seeds of the flax plant are a rich source of carbohydrates, oils, and phytochemicals that can benefit your health. 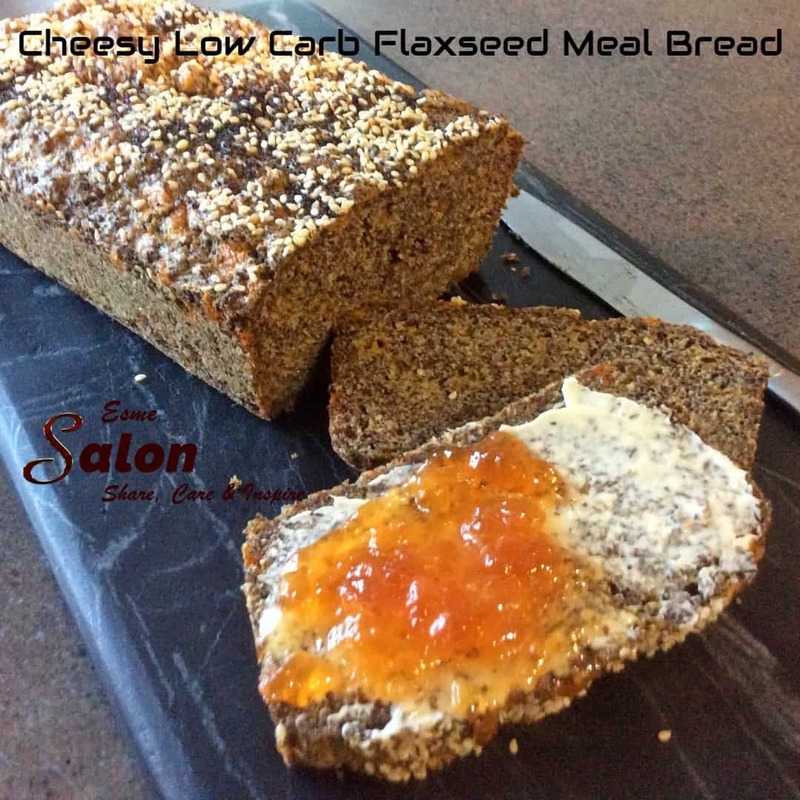 Flaxseed meal, made from ground-up whole seeds, is more readily digested than the intact seed. It also offers advantages over consuming only the oil extracted from the seed, because the seed solids carry a significant proportion of flax’s dietary benefits. Including ground flax in your daily nutrition plan supplies you with fiber, essential fatty acids, and lignans. Beat eggs until fluffy with a hand mixer, ± 1 minute. Add and combine all the remaining ingredients and mix until all combined with the hand mixer, as I already used it. I did not add Chili flakes as per the original recipe. Pour into the greased bread tin. Decorate with sesame and poppy seeds. Leave bread tin on top of the oven while heating up to the temperature at 400F. As I doubled the original recipe, I baked it for ±20-25 minutes and until a cake tester inserted in the center came out clean.